Our discs are made from .925 Sterling Silver. Each layered disc offsets the next one. 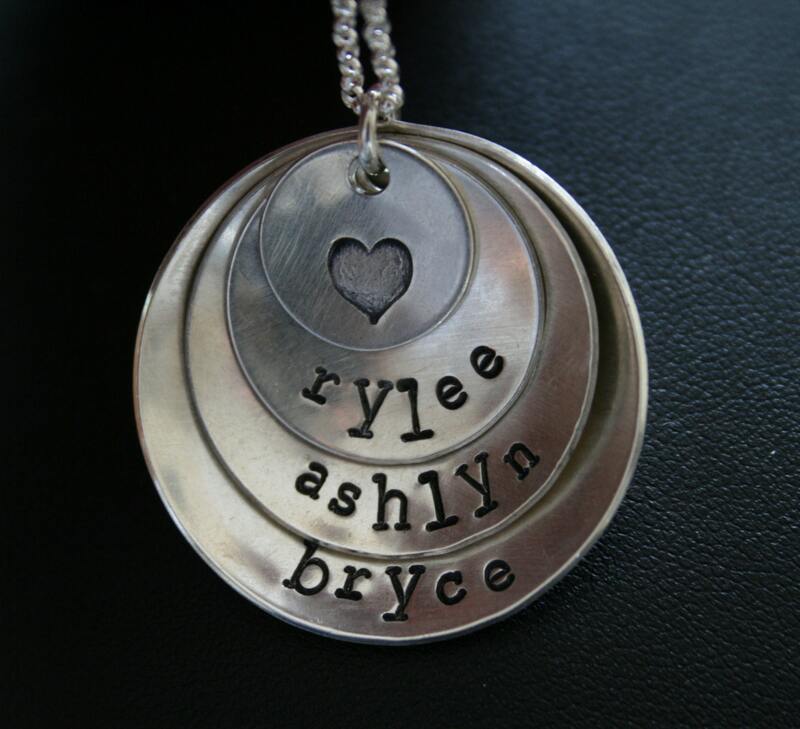 Remember to let us know what 18" sterling silver chain you would like and the names you would like on the discs when checking out. The shortest name fits best on the top disc. Our necklaces are shipped in a pretty drawstring organza pouch for easy gift giving. Only need 2 discs? 3 discs? Two discs are $54.00 and 3 discs are $64.00. Just contact us and we will provide a special listing for you.